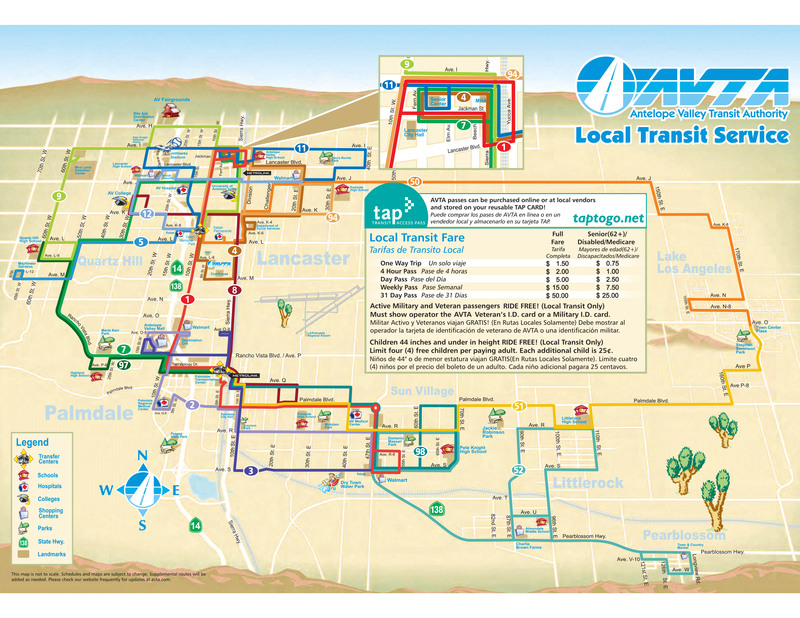 The Antelope Valley Transit Authority seeks to provide connectivity between all of its routes by developing coordinated schedules that also connect to local Metrolink services. You can find all the routes on our system map below. To use the system map, locate your starting point and end destination using the grid of bus routes to find the route(s) that serve your travel needs.